I’ve never been a big fan of spending a lot of money on Valentine’s day and things seemed to have worked out ok for me 🙂 Today, PF Pro contributor Melissa Hoffman takes a look at some alternatives to a fancy Valentine’s day dinner. Valentine’s Day is right around the corner, and with it generally comes spending money. Whether you’re spending money on flowers, a card, or dinner and a movie out, in all likelihood, you are shelling out some amount of money this Saturday. This year, the National Retail Federation estimates 91% of people are planning on treating their significant others/spouses for Valentine’s Day. According to those surveyed, people are planning on spending an average of $142 on Valentine’s Day this year. This is up from $133 last year! However, anyone can have a typical expensive Valentine’s Day dinner and a movie. What will set you apart is an alternative to the fancy Valentine’s Day dinner date – and hopefully you’ll save a little bit of money in the process! 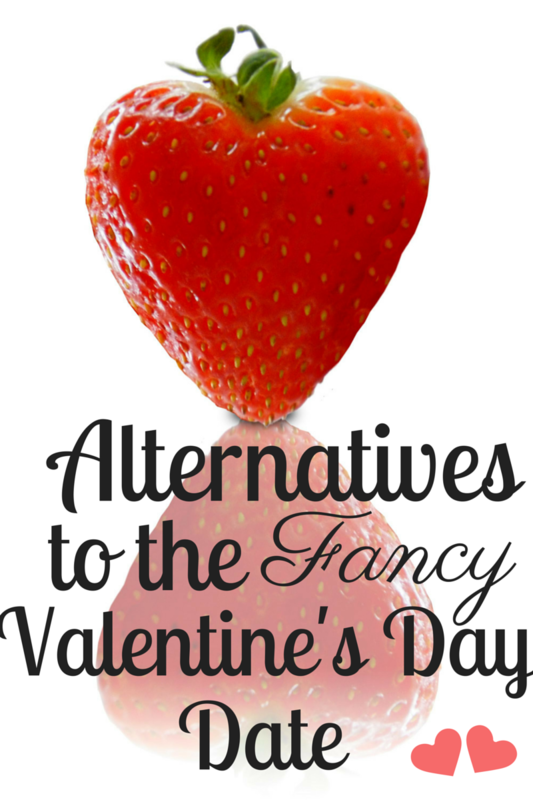 If you prefer alternatives to the fancy Valentine’s Day dinner, check out the following ideas. This year, 53% of people plan on buying candy for their loved ones on Valentine’s Day. More people are planning on buying candy than even flowers (53% versus 38%). Personally, I’d prefer flowers to candy, but hey, clearly not everyone agrees. Instead of going to a fancy candy store (or your local grocery store for an overpriced box of Valentine’s Day candy), consider making truffles with your loved one instead! If you’re feeling adventurous and want to spend a little money, consider taking a truffle-making class. Not only will you learn how to make truffles with your honey, you’ll get to sample your creations and take some home for later enjoyment! Some truffle-making classes include wine pairings, which is extra decadent, and won’t cost even as much as a typical fancy dinner and movie night. Looking for something a little more frugal? Make your own truffles! Making truffles doesn’t involve any complicated kitchen gadgets beyond a saucepan and parchment paper. Use this recipe by Alton Brown for inspiration. If you don’t have a melon baller, you can use a spoon! Turn it into your own truffle-making classes by buying a bottle of your favorite wine ahead of time, and surprising your loved one with all the ingredients already purchased. For the most part, flowers on Valentine’s Day are going to be overpriced and of poorer quality. Due to higher-than-normal demand, you’ll pay more in terms of shipping and likely won’t get the best flowers of the season. The best way to save money on flowers is to avoid purchasing pricey flowers on Valentine’s Day entirely. However, if you know your significant other/spouse is really looking forward to flowers, surprise them with something that isn’t roses! While roses are the typical Valentine’s Day flower, you could save money by getting a bouquet of colorful, in season flowers from your local florist. Scout out your local florist a few days before Valentine’s Day (basically, now) and see what they have available and what they recommend for in season flowers. Compare prices between your local florist and your grocery store, as sometimes the local florists have better prices than big-name grocery chains. Don’t forget to think local in terms of the flowers too: while pretty much all flowers in Boston are probably going to be pricey (because they won’t be local), you might be surprised by the variety of flowers you can get in the southern half of the US, especially California, Arizona, and Florida. Ah, the big Valentine’s Day date night itself: how can you save money on this and still keep it romantic? One of the best alternatives to the fancy Valentine’s Day dinner is the date itself. Don’t celebrate on Valentine’s Day! On Valentine’s Day, especially since it falls on a Saturday this year, restaurants are more likely to be crowded. Many restaurants will offer Valentine’s Day “specials”, offering you an appetizer, entrees, dessert and maybe wine, but at a price likely more expensive than you would typically spend. Avoid all the extra expense and additional wait times by celebrating a few days before or after February 14. Sure, you’ll miss the Valentine’s Day experience, but you’ll make up for it in price and time spent waiting. You’ll still get to enjoy a nice dinner, too, but on your own time, peacefully. If you won’t be able to get away with celebrating Valentine’s Day on a different day, change your thinking. Instead of a dinner out, think about what your significant other/spouse would really appreciate. Would they prefer a massage, or for you to plan and make dinner? Would they prefer quiet time with a relaxing bath and book? Think about what makes them the happiest and incorporate that into your Valentine’s Day celebration. If all else fails, maybe you can book a trip to Portland this weekend for Cuddle Con. Cuddle Con is a new convention that “aims to promote platonic cuddling in a positive light.” While the cuddling at Cuddle Con is platonic, you can bring your significant other/spouse and try something new! Now, I can’t guarantee your spouse will love all of these ideas. Some people really like the typical Valentine’s Day dinner and a movie and would be unhappy if you changed things up. Hopefully you know your significant other/spouse well enough to determine if these ideas would be good or would end up with you sleeping on the couch. 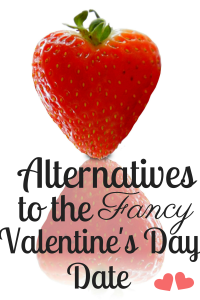 However, if you’re looking for alternatives to the fancy Valentine’s Day dinner date, these are unique (and frugal!) options for you to enjoy. How do you plan on spending Valentine’s Day this year? Are you avoiding the crowds, or do you already know you’ll be jumping right in? We usually avoid the crowds and stay in. We’ve never really done anything too crazy for Valentine’s Day, as I’m not a fan of the holiday haha. Glad I’m not the only one, Michelle! The crowds on Valentine’s Day are outrageous, it’s so true. I can’t imagine being a server on Valentine’s Day – hopefully they get good tips! Another Hallmark Holiday from the Genius marketing folks out there for businesses to profit from. Spending Money on highly inflated items does not show love in the least bit! I’ll be in the mountains skiing and boarding with my girlfriend and enjoying nature. More snow please! Tim, that sounds awesome! Getting outside and enjoying nature is an awesome way to spend this manufactured holiday. It’s great you and your girlfriend are on the same page too – that’s very important! I offered to babysit my friend’s kids on V-day. Not romantic at all!